here at B&L Cleaning Services, we are a specialist cleaning company based in Widnes, Cheshire employing over 320 highly trained cleaning and management staff, established in 1981 we now turn over more than £2.4M per year. Based in Widnes, we are the Nothwests leading cleaning company with a wide range of commercial and industrial cleaning services including Office cleaning, Factory cleaning, Window cleaning, Superstore cleaning, Carpet cleaning, Carpet shampooing, Builders cleans, Initial cleaning, Housing management communal cleaning, Litter picking, Garden maintenance and Jet washing. We cover all major towns and cities in the North West of England including Widnes, Runcorn, Warrington, Prescot, Whiston, Liverpool, Knowsley, St Helens, West Lancashire, Wigan, Bolton, Blackpool, Southport, Manchester, Skelmersdale, Chester, Ellesmere Port and Northwich. In fact, anyone based in Lancashire, Cheshire, Merseyside or Greater Manchester is fully serviced from our offices in Widnes. We have recently implemented a TQMS (Total Quality Management System) to monitor and control our hygiene standards. so you can rest assured your home or office in the best hands. 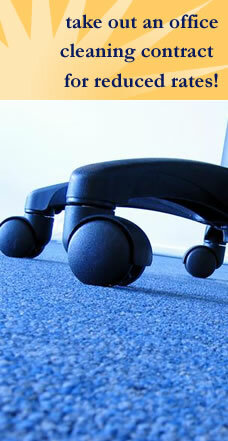 B&L Cleaning Services Ltd has an employers and public liability insurance of two million pounds.